OK, now that you’ve stopped laughing, what’s going on here is a sort of ritual dance. No one seriously believes Holder is actually going to investigate one of his minions for selectively targeting the president’s political enemies in something that could very well end up not working out to well for our AG and the president if the truth came to light, which is why they’ve been stonewalling. No one expects him seriously to file any charges.Let’s remember that Eric Holder is the only attorney general in our history to be held in contempt of congress, and he has essentially laughed it off. I wouldn’t be surprised if it was our attorney general himself who talked to Lois Lerner after the nasty stuff hit the fan and worked out a deal from the Regime in exchange for her keeping her mouth shut. That’s mere speculation on my part, but there are elements of Holder’s work history – shilling for fugitive and Democrat donor Marc Rich, for example during Mr. Bill’s final days – that shows he at least is an experienced hand at this kind of thing. The committee is referring it to Holder because that’s process, it’s how things are done in DC. Holder can do his own mickey mouse investigation and say he finds no grounds for charges (the most likely scenario, IMO), he can simply ignore the request of the committee or he can appoint a special prosecutor from an office totally controlled by the Department of Justice, since President Clinton got rid of the Independent Prosecutor’s office as one of his last tricks he turned in office. 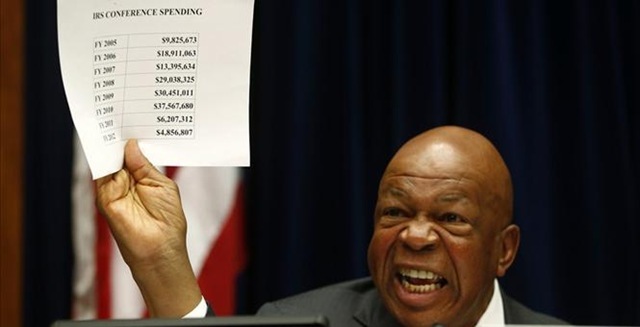 As a sideshow, House Oversight Committee chairman Darrell Issa openly accused ranking Democrat member Elijah Cummings of colluding with the Internal Revenue Service in its targeting of the conservative nonprofit group True the Vote. Cummings, (who deserves one of President Obama’s presidential medals of freedom for his service to the Regime in delaying the committee’s attempt to perform its legal function) apparently made a special project out of True The Vote. E-mails unearthed in the course of Issa’s investigation into the IRS’s inappropriate targeting of right-leaning groups show that in January 2013, a member of Cummings’s staff contacted the IRS asking for any publicly available information on True the Vote. The matter was discussed by IRS officials that included Lois Lerner, the former exempt-organizations chief who retired in the wake of the targeting scandal. The bottom line? 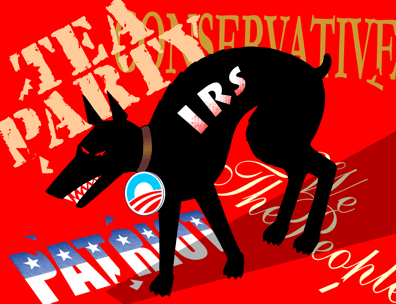 It’s patently obvious that President Obama used the IRS as his personal hit squad to go after those he perceived as his political enemies.The House can initiate legal proceedings on its own, but going through the courts takes years. 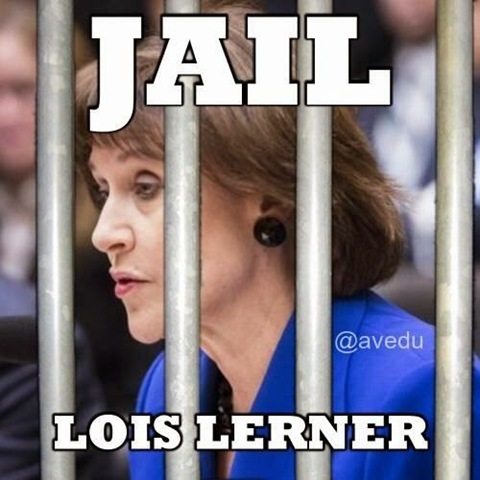 Realistically congress has one remedy, the House’s “inherent contempt” authority under the Constitution, which could put Lois Lerner in the slammer until 2015 when the new congress sits, after which a new subpoena can be issued to toss her in jail again for another two years if she still refuses to testify. The nuclear option if that happens is a presidential pardon, which the president can issue any time he feels like it for any reason he wants to.They’re almost always issued in a president’s last days in office, so as not to affect election prospects ala’ Gerald Ford’s pardon of Richard Nixon. But President Barack Hussein Obama can issue a pardon for Lerner, Eric Holder or anyone else he deems necessary if things get hot. And it’s solid gold, inviolate. Normally, the check on presidents pardoning associates of theirs who might have been involved in criminal proceedings is media fallout that generates public outrage and bad PR. Given the state of much of the media today, that won’t happen. The media won’t even mention that our attorney general and our president aren’t exactly neutral when investigating their tools or themselves. 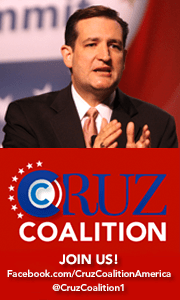 Our Founders envisioned a lot of what a democratic republic would have to face, and made provisions for it. They unfortunately had no idea how dumbed down and dependent on government patronage and welfare a portion of the electorate would become, and they certainly never imagined anyone as corrupt and utterly lawless as President Obama sitting in the Oval Office.They never dreamed that we would someday have an attorney general boasting about how he and the president he served were only going to uphold the laws they felt like enforcing and ignore any others they didn’t, based on their political agenda. They did, however leave us a remedy. It’s called impeachment.And if we’re unable to at least bring charges and examine them honestly after the blatant way this sort of thing has been foisted upon us, perhaps we’re no longer worthy of the gift our Founders bequeathed to us. If I were Speaker John Boehner, I’d be filing charges right now, voting on them in the House and forcing Democrats to go on record as voting against them in the House and Senate. Come next January, when there might just be enough senators in office willing to vote for something other than their opwn partisan values, things might be different. But Boehner owes it to the country to at least make an attempt and get the numerous high crimes and misdemeanors of President Obama on the record. Needless to say, he’s not that kind of man and certainly not that kind of Speaker. But we’ll see what happens in November. This entry was posted in Asshats, Big Brother, Constitution, Games, Get Involved, Knowledge Is Power, Lies, manipulation of the public, News and politics, Politics, Stand Up, Wake Up, Watch the Other Hand, You Be the Judge. Bookmark the permalink. Reblogged this on Life among the Ashes.